The following "All Inclusive Beach Vacations" Hotels are located in the most popular Holiday Resorts of Almeria Province: Roquetas de Mar, Aguadulce and Vera All of them belong to the Playa Senator Hotel chain, that enjoys a high reputation and all Hotels are designed to enjoy an unforgettable All Inclusive Family vacation! - Almost all of them provide great themed outdoor pool areas with slides, bridges, jacuzzi, Spa.. These Hotels are located in Roquetas de Mar, in the so-called "Urbanización" Beach , an outstanding Resort, with all types of amenities, bars, shops, beach promenade, Golf clubs, Restaurants and last but not least important sights. Located in Roquetas de Mar right at the beach, in an area of ​​shops, bars and restaurants along the seafront and close to Playa Serena golf course. Cozy beachfront Hotel, located next to the promenade, shops, services, and golf course "Playaserena". Perfect for families with kids and sports lovers. Boutique beachfront Hotel, next to the promenade and near the golf course "Playaserena". Ideal if you are looking for a cozy and quiet place for a holiday. A magnificent beachfront Hotel, surrounded by gardens and next to golf course. Fantastic pool with slides, bridges and jacuzzis. Family fun is guaranteed! A superb 4-star located 250 meters from the Beach, with indoor and outdoor pool, incl. slides. Offers daily activities for children! Aguadulce is just a few minutes drive by car from Almeria city and yet it boasts an impressive beach, promenade, plenty of beach bars and a small marina. Located on the seafront, designed both for leisure and business. Close to the marina, the Palace of Congresses and Exhibitions and near three golf courses. Its privileged location in a quiet bay of Aguadulce, offers breathtaking views from the private balconies of all rooms and from the outdoor pool at the edge of the sea. The town Vera has become famous for its first naturist beach in entire Spain. 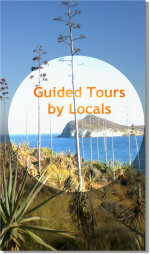 It lies in the far East of the Province of Almeria Province, truly boasting the most beautiful Mediterranean coastline! This charismatic Andalusian-style hotel, located in Vera, is the first naturist hotel in Spain. Situated in front of one of the best nudist beaches of Almeria, it is perfect for a holiday in contact with nature. Newly built beachfront hotel located in Vera. With a stylish and pleasant decor, it has all the necessary facilities to make the most of your stay. Apartment complex located in Vera, consists of spacious apartments with pool, just 100 meters from the beach with direct pedestrian access. Playa Senator is also owner of one of the emblematic old Western Towns also known as Mini-Hollywood area in the Desert of Tabernas. The Poblado is the original movie-location used for all-time Western Movies directed by Sergio Leone, starring Clint Eastwood! 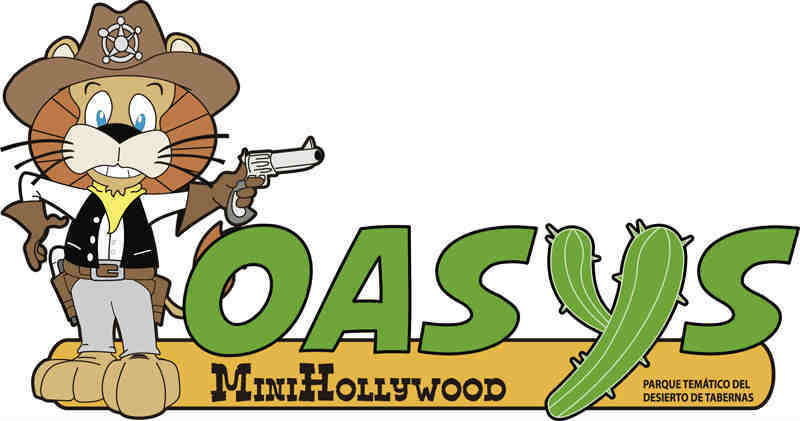 Ask at the Reception desk of your Senator Hotel for an excursion to the Oasys Theme Park at a special price!